Keep reading if you want an awesome snack before or after a workout that gives you your daily dose of heart healthy nuts and some quality protein. That tastes good. That tastes damned fantastic. 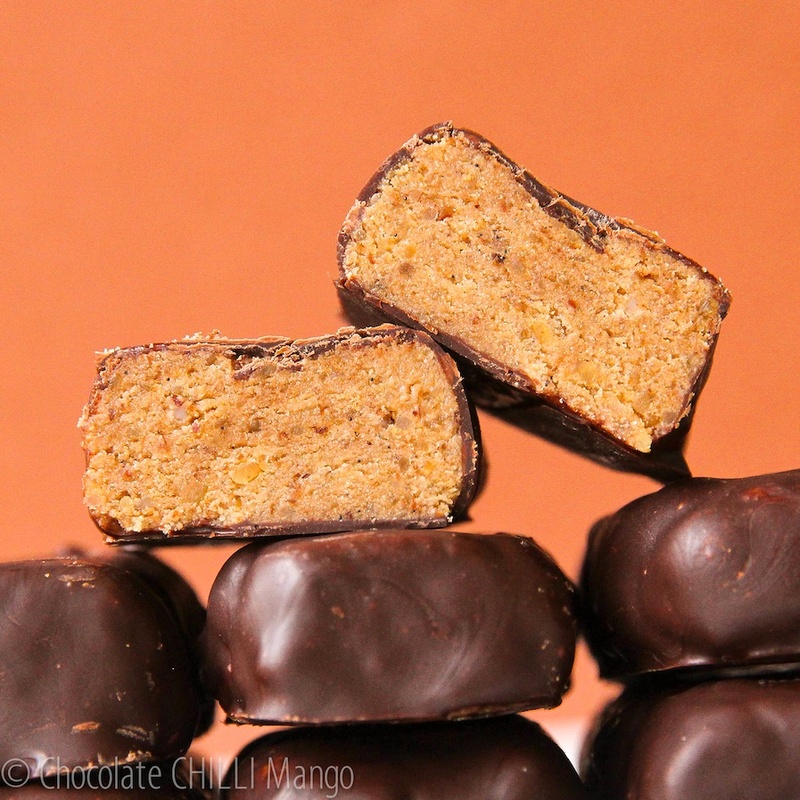 These are the first in what is likely to be an ongoing quest for the ultimate protein bar. I can’t eat manufactured protein bars. The contain lots of ingredients that sound more like Spakfilla and pesticides than food. I rant about this all the time. They also contain ingredients that are often off-limits to people with food intolerances (like me). So in between making yummy treats, I obsess over what I can make to have after a workout when a protein shake just won’t cut it. Pop two of these after a workout and you are getting your daily dose of 30 grams of nuts and just under 20 grams of protein and 24 grams of fat. No trans fats and mostly heart healthy unsaturated goodness. With a low 2.5 grams of carbs. Sure, not as much protein as a shake, but they taste better! They’re also good if you know you are not going to get a chance to eat for a couple of hours, keeping you going and not feeling hungry. There is no added sugar and they taste great. If you want a little sweetness, be guided by how it tastes first and then add a little of your favourite sweetener to it. I like them as is. The texture is soft but not chewy, the flavour is nutty with a little spiciness. Plus there’s all that fabulous chocolate coating. Use good quality dark chocolate. I used Valrhona Araguani (72%) but I’ve based the nutritional profile, below, on Lindt Excellence 85%. Why? It’s easier to find and would taste fine. Use whatever you like best. Frankly, I was totally surprised at how well these turned out. SHAZAM! Plus there is no baking involved so it’s pretty easy. I haven’t even given directions for properly tempering the chocolate as we’re storing these in the fridge and, let’s face it, we’re not making moulded chocolates here. Or pretty pastries. 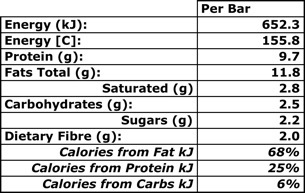 Next protein bar instalment will be for a protein bar that packs a bigger protein hit but is much lower in fat. That tastes good. Watch this space. In the meantime, these are helping me to get through watching stages of the Tour de France late at night. My sporting tastes make it really hard to be in Australia at this time of year! Place all the ingredients, excluding the chocolate, into the bowl of a food processor. Pulse until combined. If the mixture is a little too dry, add a little more yoghurt to achieve a consistency that can easily be rolled and patted into bars. Form twelve small bars and place on a tray lined with silicon paper or foil. Place in the refrigerator to firm up for about 20 minutes. Melt 35 grams of the chocolate in the microwave or in a bowl over gently simmering water. When melted and smooth, take off the heat and stir in the remaining 15 grams of chocolate until melted, smooth and cooled slightly. Dip the bars into the chocolate and drain off any excess. Place each bar on to the lined tray and allow the chocolate to set. The values here are a guide only as they will vary slightly depending on what brand of protein powder you use. But it’s a good guide as they will vary only slightly if you use a good 100% WPI or whey protein complex that is low in carbohydrates and fats.